Laura is the friendly face at the front desk you’re likely to see each time your visit our office. She answers the phones, schedules appointments, greets patients, and helps our patients get the most out of their insurance benefits. Laura joined us in October 2016. 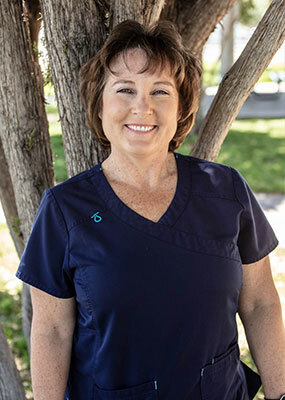 She loves the rewards associated with getting to know our patients, getting them out of pain when necessary, and helping them understand their dental benefits. Laura and her husband Tom have been married since 1996, and have three children and two pets. When she isn’t working, Laura enjoys hiking, bowling, golfing, camping, dancing, going to movies, spending time with her family and watching her kids play sports. Her favorite vacation spot is Sedona. Kelly joined our team in May 2017, and she assists Dr. Kimball with a variety of procedures. One of her favorite aspects of her job is getting to know patients and being able to help them improve their oral health. Kelly earned her dental assistant certification in Anaheim, California in 1986. This mom of two daughters enjoys camping, barbecuing with friends and family, going to the river, and going to the gym. Her hobbies include rock painting and crafts. Her family includes two dogs – Maggie and Bear – as well as a cat named Serobe. Vanessa has been part of our team since January 2018. 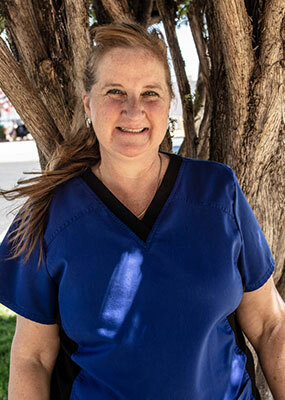 She earned her associate’s degree in dental hygiene from Mohave Community College in Bullhead City, Arizona in May 2013. Prior to that, she obtained her dental assistant certification in May 1996 from Concorde Career Institute in Anaheim, California. 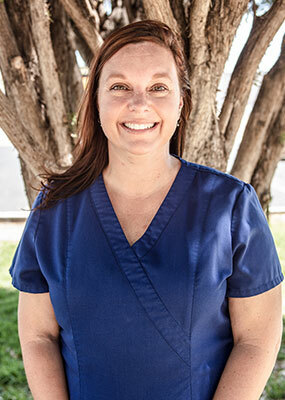 Vanessa performs dental hygiene treatment and patient oral hygiene education. 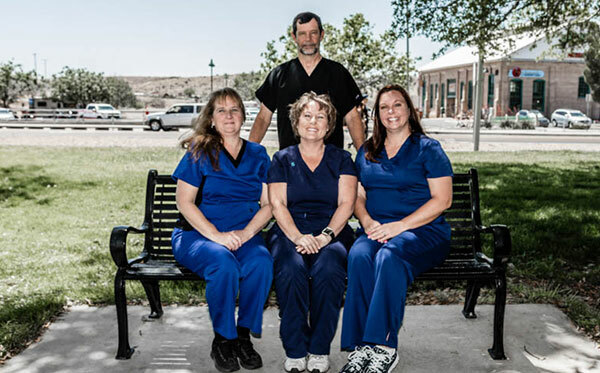 She enjoys coming to work every day because it doesn’t feel like a job, but more like a reward for all the years she has worked in dental care. She likes working with like-minded colleagues who love the profession. She is proud to continue doing what she loves, and she says educating and caring for patients has been a blessing in her life. Vanessa and her husband have three sons. She and her family enjoy exploring the outdoors, whether they are at the lake on their wave runners, camping for the weekend in their RV, or traveling to new places.